My pen pal teacher shared a link with me for the Monster Exchange. It sounds a little complicated for early primary, thus I have created my own simplified version. 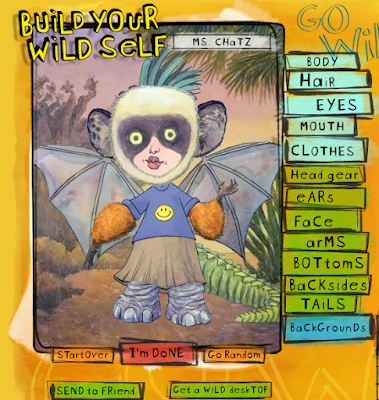 Step 1: Students go to http://buildyourwildself.com and create their Wild Self. Step 2: Email creations to the teacher, by using the "Send to friend" option. Make sure each Wild Self includes the child's first name. Students write instructions for their pen pal about how to recreate the Wild Self, using Pixie, Kerpoof, Tux Paint, or Kid Pix. Snail mail the instructions to the pen pal class. Don't forget to make a photocopy first. Important: Students should not get to see their pen pal's Wild Self at this point. Step 4: Students follow written instructions from their pen pal in an attempt to recreate the original Wild Self. 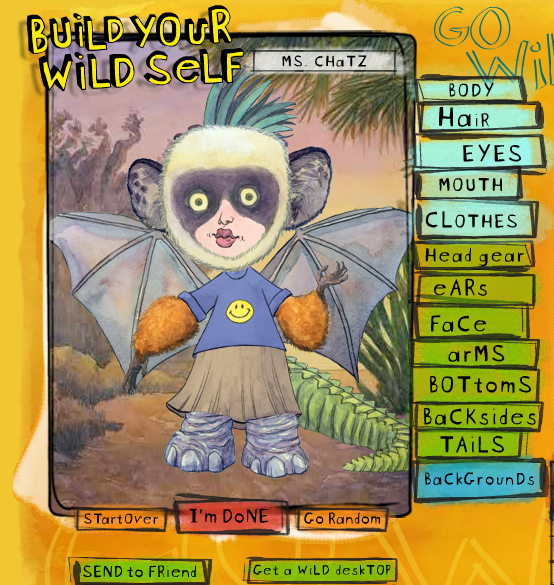 After completion, students can see the original Wild Self. Step 4: Teacher uses Strip Designer iPad app or Photovisi website to create a single jpeg containing both the original Wild Self and the recreation made by the pen pal. Print the jpegs on full size paper to make a bulletin board display or class book. Don't forget to include the written instructions! I will post some pictures after we have completed this task! Please post a comment to share similar projects you have completed with your class. If you tried my rendition, I'd love to hear how it went for you!